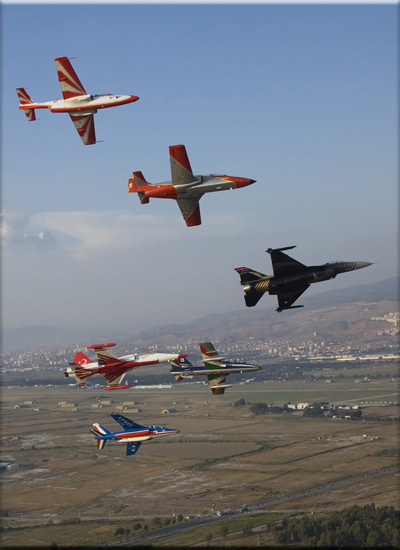 Over the years, Eric has always had very good contacts with the Turkish National Aerobatic team, the Turkish Stars. 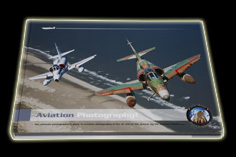 He visited the team at their homebase and took many remarkable photographs which were often used in the promotions of the team. Each year he visited some airshows all around Europe especially to photograph the team in other environments. 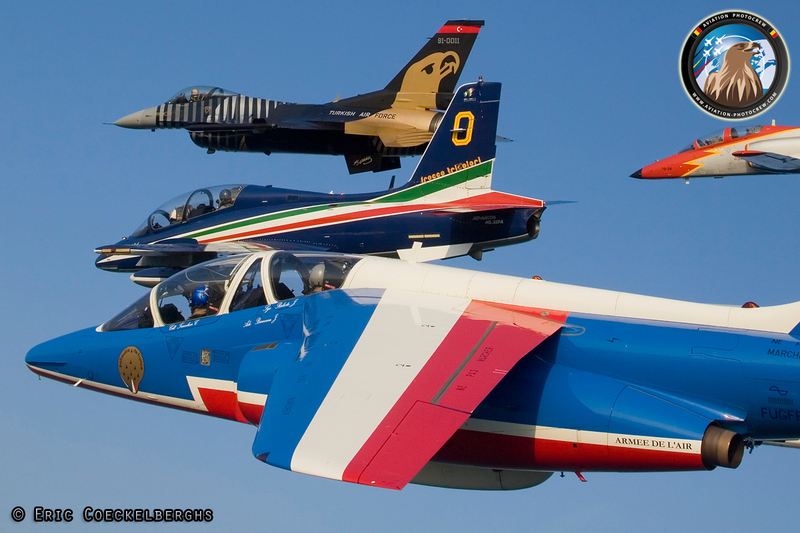 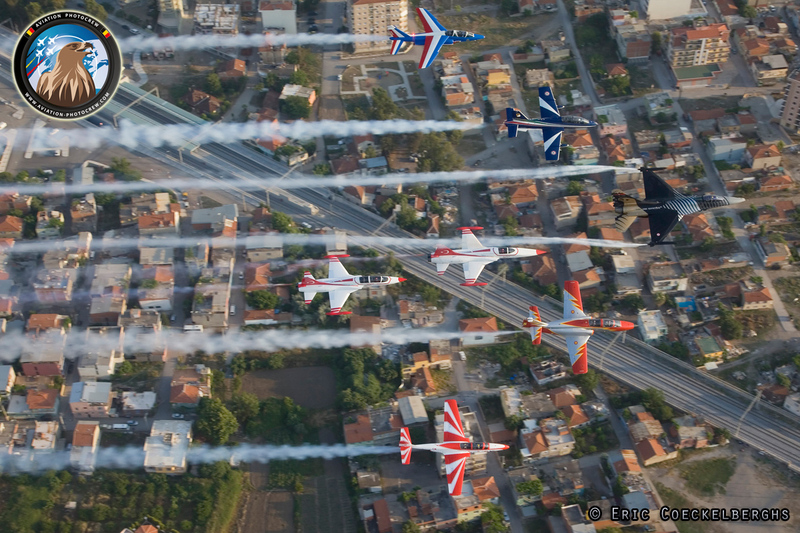 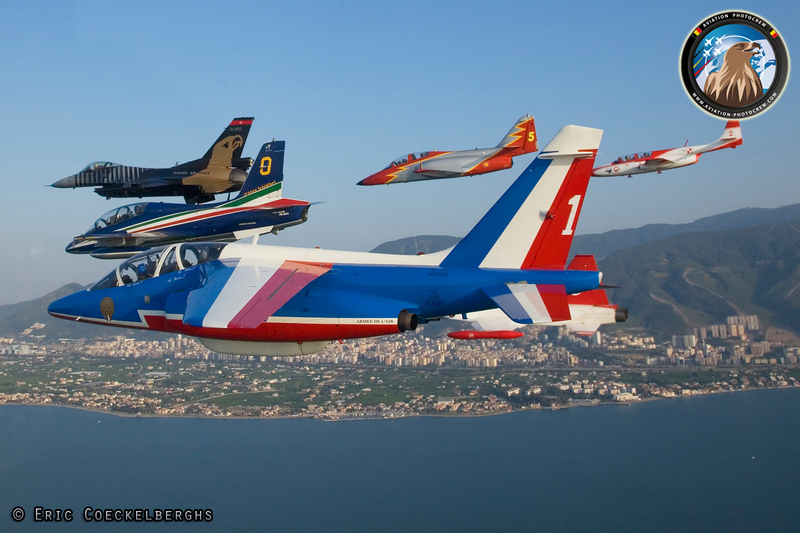 In 2010, Eric had once again the chance to work with the team when they attended the International Sanicole Airshow and performed enthusiastically for the large crowd. 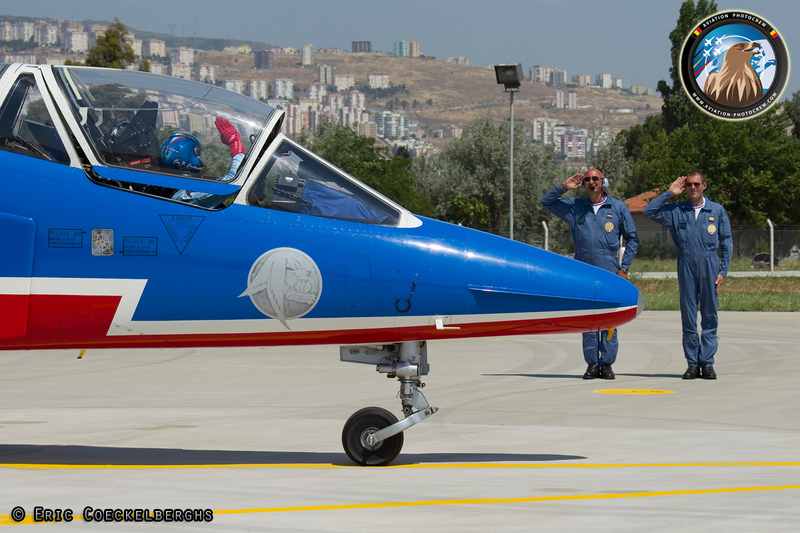 At the time, the preparations for the immense celebrations for the 100th anniversary of the Turkish Air Force were already well underway and Col. Yalinalp invited Eric to become a member of the Centennial Team. 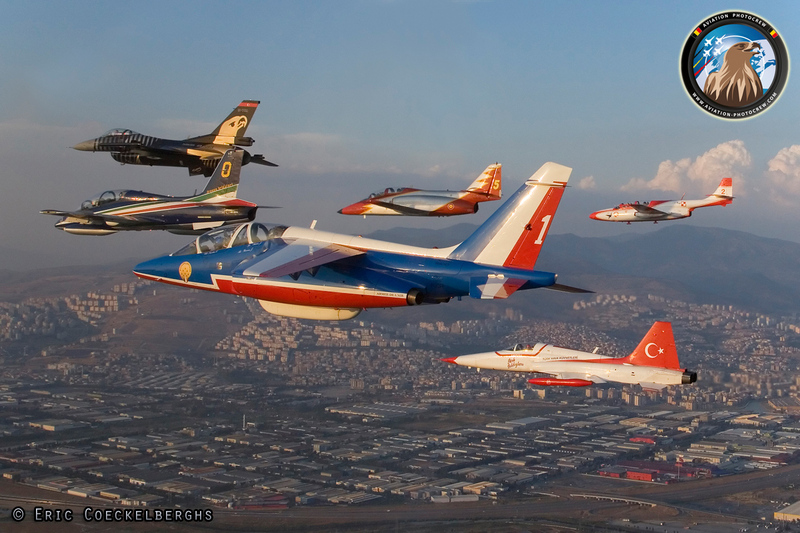 Eric was requested to provide advice and assistance in setting up the very first spotter day in Turkey, as well as helping out in the preparations for ‘Airshow Turkiye 2011’. 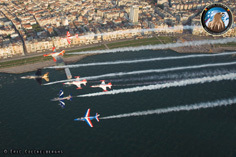 With his well known limitless enthusiasm, Eric started to promote the event and gave crucial advice to the organizers. 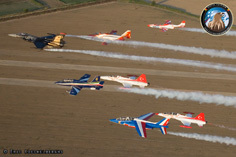 It is safe to say that it was a phenomenal success, far greater than anyone would have dreamt off! 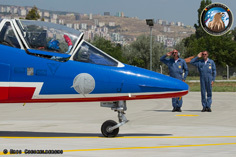 Over a thousand spotters flew to Izmir and were able to photograph the participants from a well-chosen point close to the runway and taxi track. 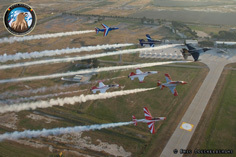 Airshow Turkiye 2011 was a memorable success applauded in the entire air show community. 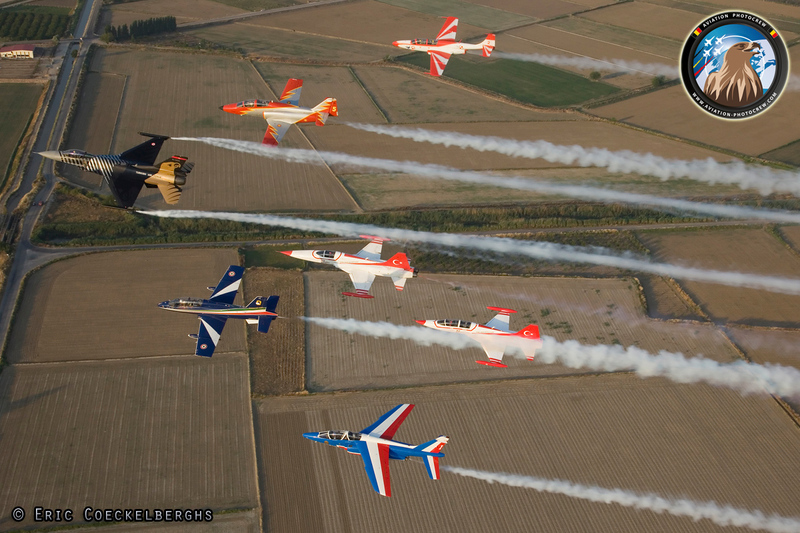 After a lot of hard work for over a year, the reward was an absolutely ‘once in a lifetime’ photo flight. 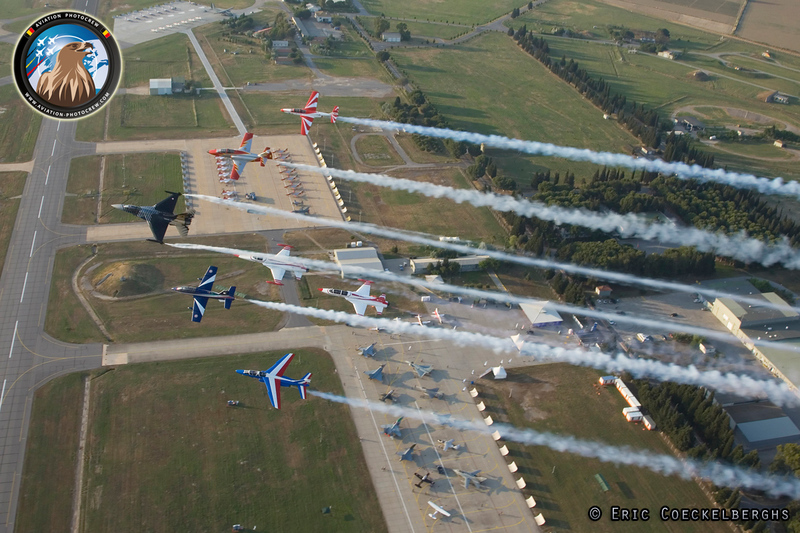 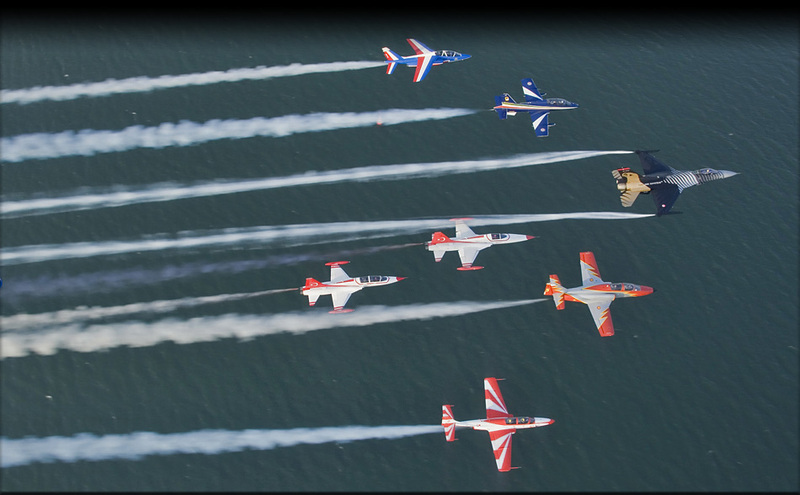 With the kind assistance of Col. Bruno ‘Bezou’ Bezier of the Armée de l’Air, Eric was given permission to fly Alpha Jet number 9 of the Patrouille de France as a photo ship. 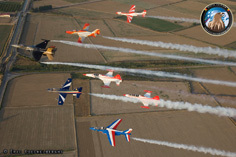 On the Friday before the air show, 7 other jets took to the sky in glorious evening light to be captured as a unique ‘Airshow Formation’! 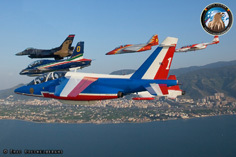 The flight was led by Major Murat Keles in his brand new ‘Solo Turk’ F-16C, and he was joined by a member of La Patrouille de France, Frecce Tricolori, Patrulla Aguila, Iskry Team and two F-5’s of the Turkish Stars. 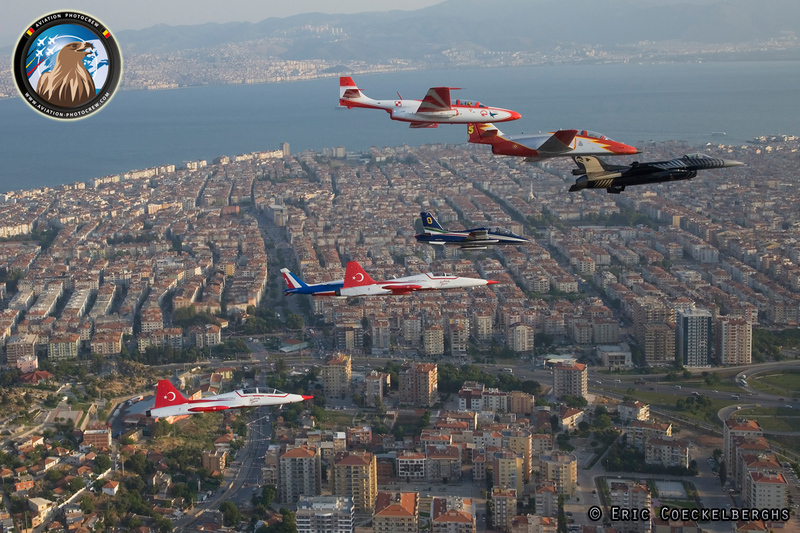 They flew as one brilliant formation 30 minutes over Izmir and the beautiful surroundings to promote the upcoming air show one last time. 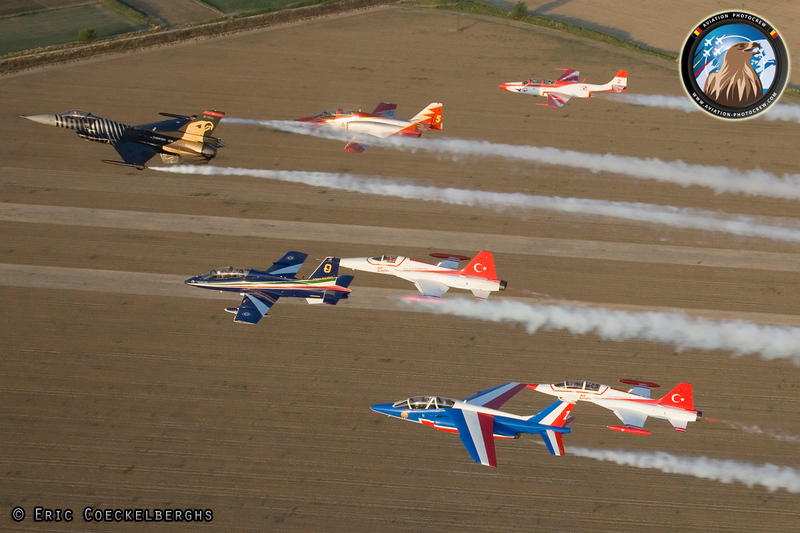 In the backseat of the second F-5 of the Turkish Stars was a cameraman shooting video for a live (!) 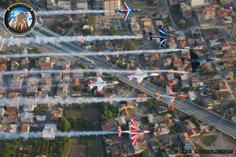 broadcast on national Turkish television. 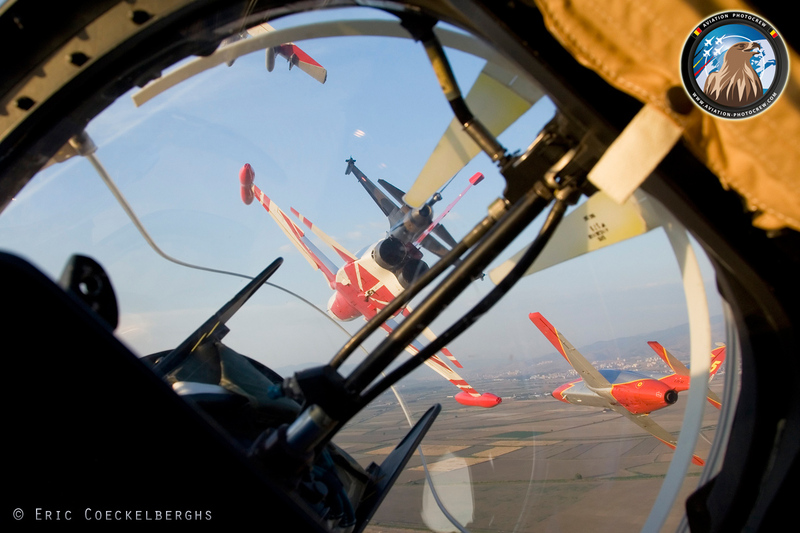 Although alone in the backseat taking photos, all of a sudden millions of enthusiastic viewers could enjoy one of the magical highlights celebrating 100 years of Turkish military aviation. 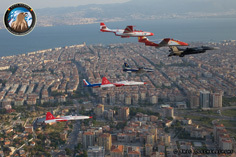 After a careful preparation, 8 jets took to the evening sky in superb light to fly the ‘Air Show Formation’ a gathering of teams to highlight the friendship of the Turkish people with the other European nations. 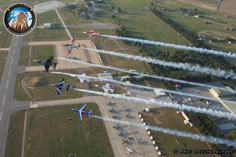 It is far from easy to set up a photo flight like this, as each of the participating Air Forces have to give their permission and of course an incredible support of the host Air Force is needed. 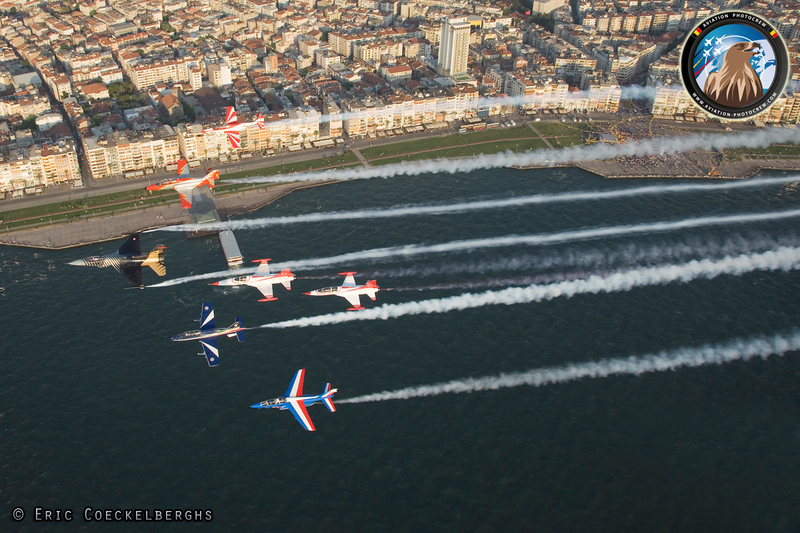 The reward is a sight that will never be forgotten. 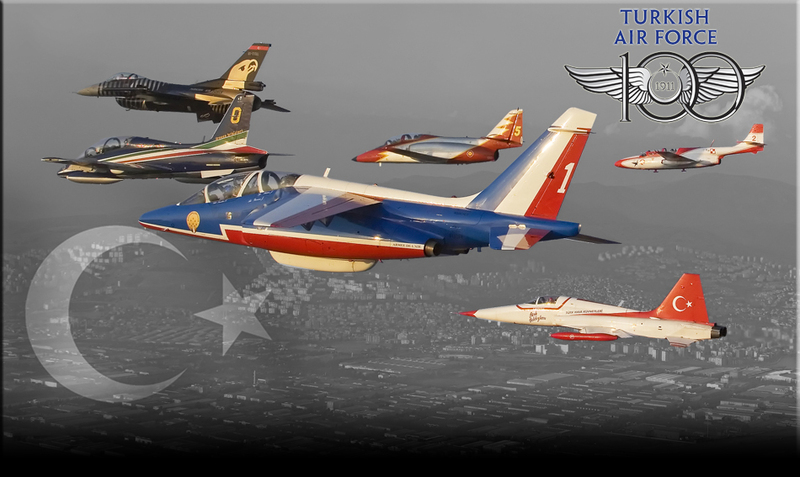 Many thanks and a great 100th anniversary to the Turkish Air Force!